It may have been love at first sight. It may have been the love of boating that they share. 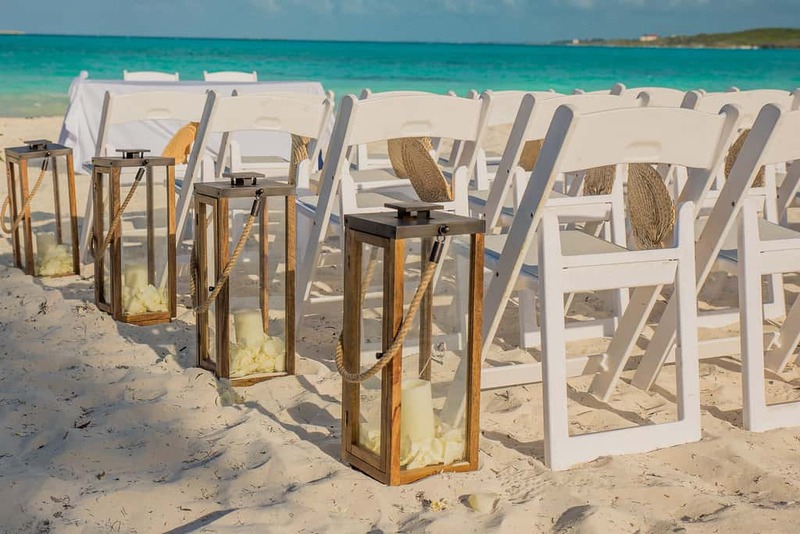 However, it was their love for these islands that brought them to Exuma to tie the knot. 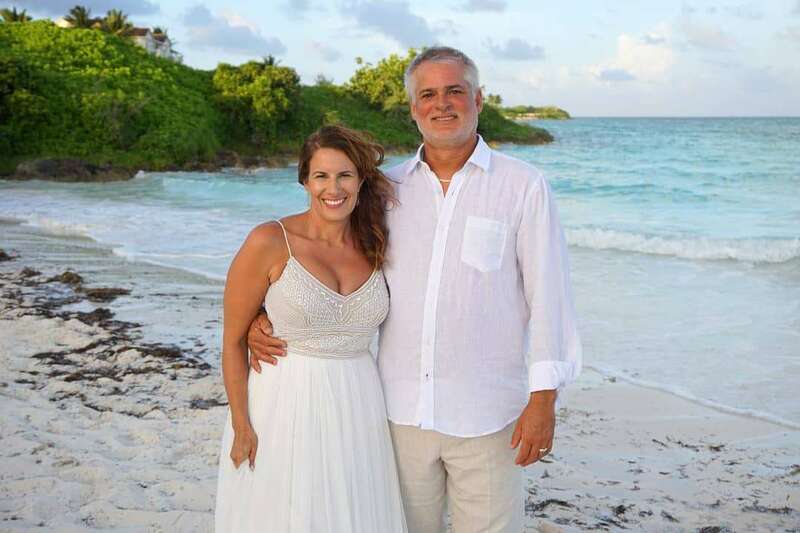 Gina and Chris met at Baker’s Bay, Abaco, on a Girls Boating weekend. A mutual friend introduced them. That was three years ago. The rest is history. 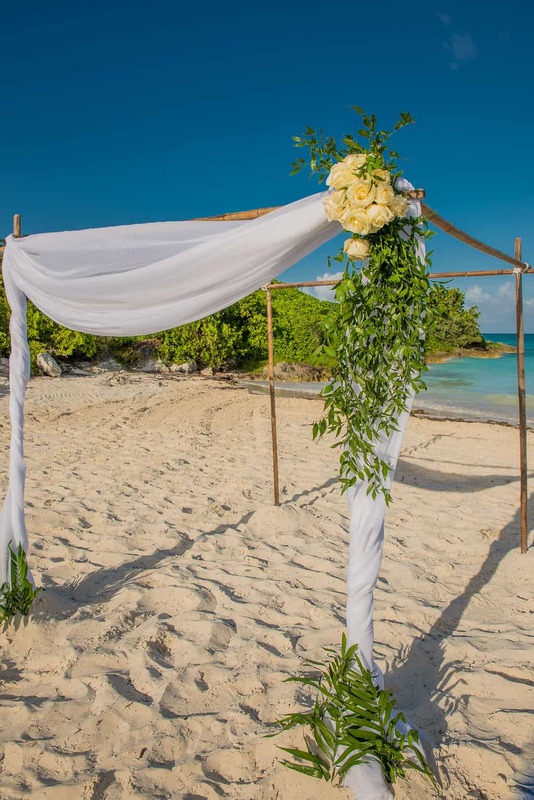 Chris sailed Gina’s family’s boat to Georgetown, Exuma, for the wedding. Of course, while on the island, boating excursions were a must. 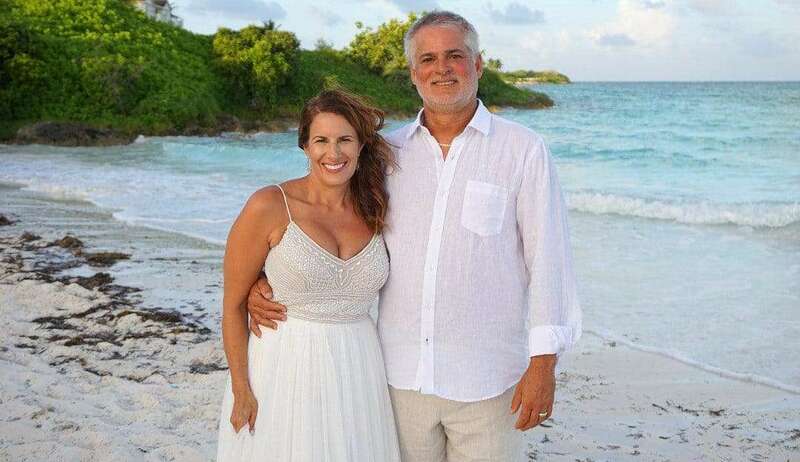 Because of their love for boats and the islands, the couple returned to Exuma to be married. Gina and Chris were married at the beautiful beach at Grand Isle Resort and Spa, Saturday, August 5, 2017. Fifty-two family and friends joined them for their weekend celebration. Pastor Kendal McKenzie married the two at an early evening ceremony. McKenzie. 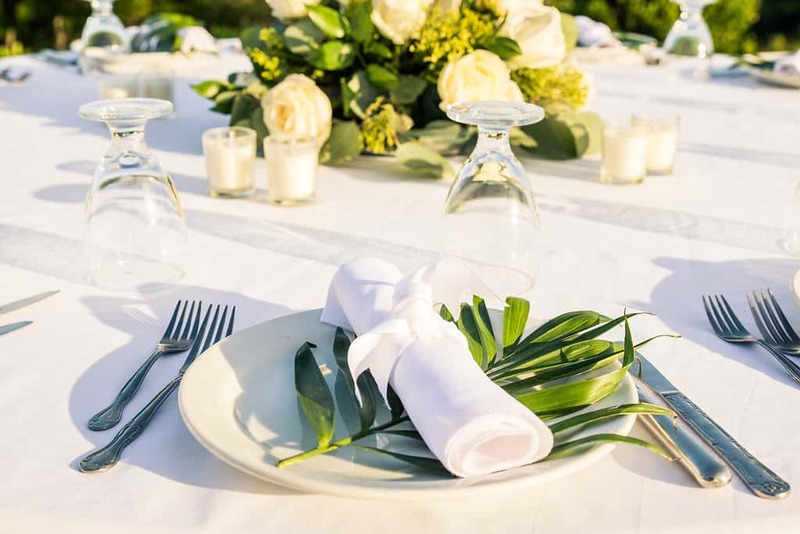 A second marriage for the couple, above all, they both wanted guests to have fun and enjoy themselves. Enjoy themselves they did! An outdoor dinner on Friday, live music by Us Two Band got the three-day celebration off to a roaring start. 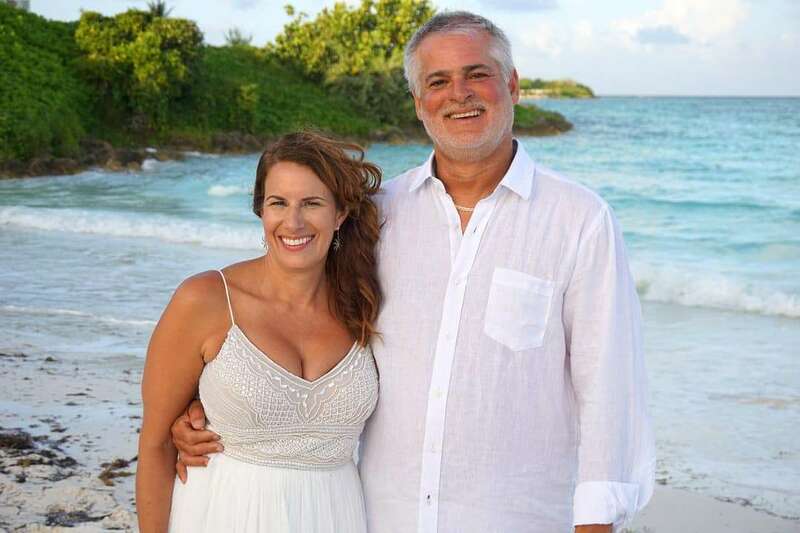 On the wedding day, the bride was pampered at Grand Isle’s spa. In addition, the bride, maid of honor and mothers had on location beauty services. Gorgeous sunshine greeted the relatives and friends on the wedding day. 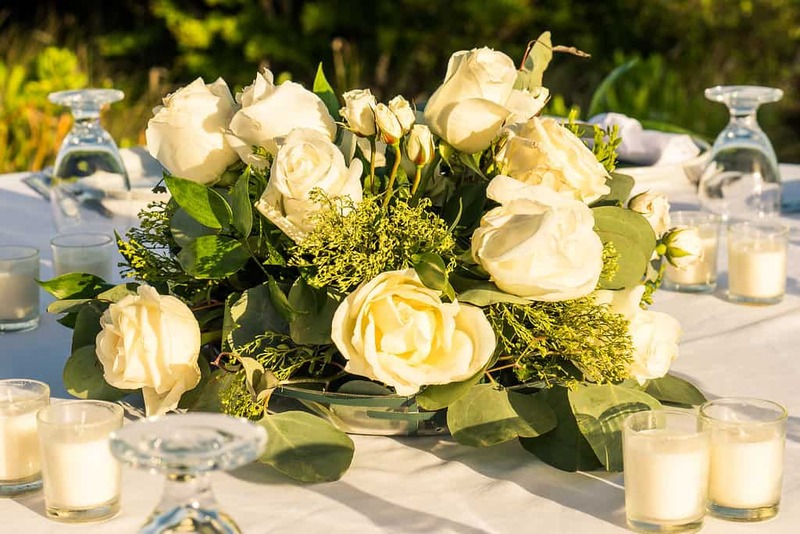 An informal, relaxed vibe with family and close friends carried through the ceremony and reception. Steelpan great Michael Hoyte played during the ceremony and cocktail hour. Tropic Breeze Band rocked the crowd as they danced under the stars through the evening. The bride wore an elegant spaghetti strap dress. The bride personalized her wedding with lanterns. Finally, the weekend celebration came to an end. 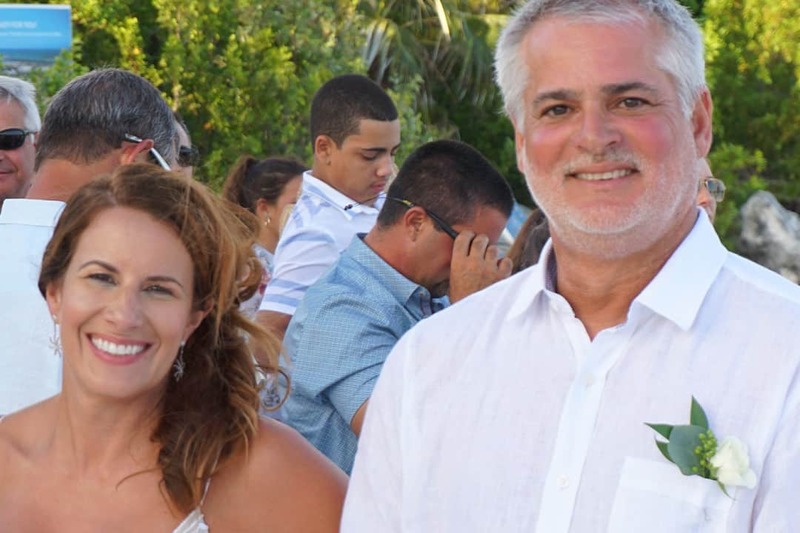 Gina and Chris sailed back to their hometown of Palm Beach Gardens, Florida. Cheers to this really sweet couple! 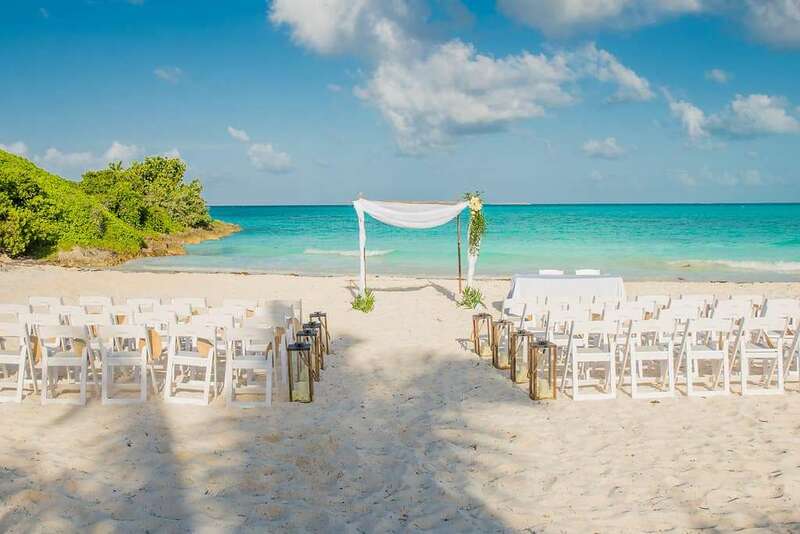 Contact Chic Bahamas Weddings to plan your destination wedding on any island in the Bahamas.